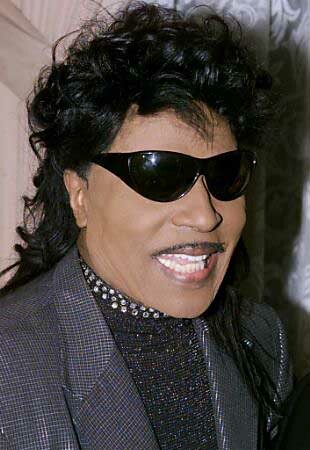 Little Richard was born Richard Wayne Penniman in Macon, Georgia, USA on the 5th December 1935. The wildest and arguably the greatest and most influential of the 50s rock 'n' roll singers and songwriters. He first recorded in late 1951 in Atlanta for RCA Records, cutting eight urban blues tracks with his mentor Billy Wright's Orchestra, "Taxi Blues" being the first of four unsuccessful single releases on the label. He moved to Houston, Texas, in 1953, and with the Tempo Toppers (vocals) and the Duces Of Rhythm (backing), he recorded four R&B tracks including "Ain't That Good News". Eight months later he recorded another four with Johnny Otis' Orchestra but none of these were released at the time. In February 1955, at the suggestion of Lloyd Price, he sent a demo to Specialty Records who realized his potential, and in September, under the guidance of producer Robert "Bumps" Blackwell, recorded a dozen tracks in New Orleans. 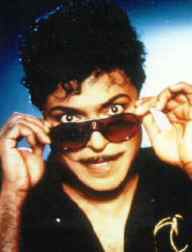 The classic "Tutti Frutti", which was among them, gave him his first R&B and pop hit in the USA. The follow-up, "Long Tall Sally", topped the R&B chart and was the first of his three US Top 10 hits, despite being covered by Pat Boone, whose previous record, a cover version of "Tutti Frutti", was still charting. Richard's string of Top 20 hits continued with the double-sider "Rip It Up"/"Ready Teddy", the former being his first UK release and chart entry in late 1956. 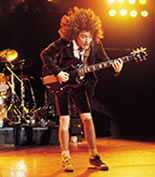 Richard's frantic, unrestrained performance of his first two hits, "Long Tall Sally" and "Tutti Frutti", in the film Don't Knock The Rock, undoubtedly helped to push his subsequent UK single, which coupled the tracks, into the Top 3. 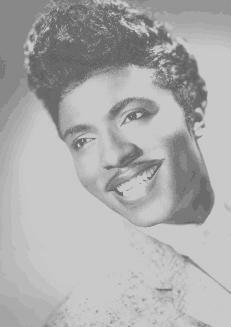 Little Richard's next film and single was The Girl Can't Help It, the title song of which missed the US Top 40 but together with its b-side, "She's Got It" (a reworking of his earlier track "I Got It"), gave him two more UK Top 20 hits. The remainder of 1957 saw him notch up three more huge transatlantic hits with the rock 'n' roll classics "Lucille", "Keep A Knockin'" (he featured both in the movie Mr. Rock & Roll) and "Jenny Jenny" together with a Top 20 album with Here's Little Richard. At the very height of his career, the man with the highest pompadour in the business shocked the rock world by announcing, during an Australian tour, that he was quitting music to go into a theological college. In 1958, previously recorded material such as the transatlantic Top 10 hit "Good Golly Miss Molly" kept his name on the chart, and a year later he had his biggest UK hit with a 1956 recording of the oldie "Baby Face", which reached number 2. Between 1958 and 1962 Richard recorded only gospel music for Gone, Mercury Records (with producer Quincy Jones) and Atlantic Records. In late 1962, Richard toured the UK for the first time and the now short-haired wild man who pounded pianos and pierced eardrums with his manic falsetto was a huge success. In 1963, he worked in Europe with the Beatles and the Rolling Stones, who were both great admirers of his music. His first rock recordings in the 60s were made back at Specialty and resulted in the UK Top 20 hit "Bama Lama Bama Loo". In 1964, he signed with Vee Jay Records where he re-recorded all his hits, revived a few oldies and cut some new rockers - but the sales were unimpressive. In the mid-60s, soul music was taking hold worldwide and Richard's soulful Vee Jay tracks, "I Don't Know What You've Got But It's Got Me" (which featured Jimi Hendrix on guitar) and "Without Love", although not pop hits, were among the best recordings of the genre. For the rest of the 60s he continued to draw the crowds, singing his old hits, and in the studios he mixed 50s rock and 60s soul for Modern Records in 1965, OKeh Records a year later and Brunswick Records in 1967. The best of these were his OKeh tracks, which included "Poor Dog", "Hurry Sundown" and the UK-recorded "Get Down With It" (which gave Slade their first hit in the 70s). Reprise Records, whom he joined in 1970, tried very hard to return him to the top, and under the expertise of producer Richard Perry he managed minor US hits "Freedom Blues" and "Greenwood, Mississippi", but his three albums (including the excellent The Rill Thing) sold poorly. The rest of the 70s was spent jumping from label to label, recording in supergroup-type projects and playing oldies shows. When he desired, he could still "out-rock" anyone, but there was often too much Las Vegas glitter, excessive posturing and an element of self-parody. In 1976, he rejoined the church and for the next decade preached throughout America. In 1986, Richard was one of the first artists inducted into the Rock And Roll Hall of Fame and he successfully acted in the movie Down And Out In Beverly Hills, which included the rocking "Great Gosh A'Mighty", which narrowly missed the US Top 40. Renewed interest spurred WEA Records to sign him and release Lifetime Friend, which included the chart record "Operator". Since the mid-80s he has become a frequent visitor on chat shows, an in-demand guest on other artist's records and a familiar face in videos (by acts ranging from Hank Williams Jnr. to Living Colour to Cinderella). He even has his own star on the Hollywood Walk of Fame and a boulevard named after him in his home town. Nowadays a regular presenter of music awards, he has also been the star of Jive Bunny hits. The leader of rebellious 50s rock 'n' roll, and the man who shook up the music business and the parents of the period, is now seen as a tamer yet much-loved personality, accepted by all age groups. DISCOGRAPHY: Little Richard (Camden 1956)***, Here's Little Richard (Specialty 1957)*****, Volume 2 (Specialty 1957)*****, The Fabulous Little Richard (Specialty 1958)*****, Sings Gospel (20th Century 1959)**, It's Real (Mercury 1961)**, Sings Freedom Songs (Crown 1963)**, Coming Home (Coral 1963)**, King Of The Gospel Singers (Wing 1964)*, Little Richard Is Back (Vee Jay 1965)**, The Explosive Little Richard (Columbia 1967)***, Good Golly Miss Molly (Specialty 1969)***, The Little Richard Story (Joy 1970)***, Well Alright (Specialty 1970)***, Rock Hard Rock Heavy (Specialty 1970)**, You Can't Keep A Good Man Down (Union Pacific 1970)**, The Rill Thing (Reprise 1970)****, Mr Big (Joy 1971)**, Cast A Long Shadow (Epic 1971)**, King Of Rock 'N' Roll (Reprise 1971)***, The Original Little Richard (Specialty 1972)***, The Second Coming (Warners 1973)***, Rip It Up (Joy 1973)**, Slippin' And Slidin' (Joy 1973)**, Good Golly Miss Molly (Hallmark 1974)***, Greatest Hits Recorded Live (Embassy 1974)***, Keep A Knockin' (Rhapsody 1975)**, Dollars Dollars (Charly 1975)**, The Great Ones (MFP 1976)**, Little Richard And Jimi Hendrix Together (Ember 1977)*, Whole Lotta Shakin' Goin' On (DJM 1977)***, Little Richard Now (Creole 1977)**, The Georgia Peach (Charly 1980)***, Little Richard And His Band (Specialty 1980)**, Ooh! My Soul (Charly 1982)***, Whole Lotta Shakin' (Bulldog 1982)***, Get Down With It (Edsel 1982)**, The Real Thing (Magnum Force 1983)***, Little Richard (Cambra 1983)***, He's Got It (Topline 1984)**, Lifetime Friend (Warners 1986)***, Black Diamond: Live In Boston - 1970 (Fireball 1998)**. COMPILATIONS: His Biggest Hits (Specialty 1963)****, Little Richard's Greatest Hits (Vee Jay 1965)****, Little Richard's Greatest Hits (OKeh 1967)****, Little Richard's Greatest Hits (Joy 1968)***, Little Richard's Grooviest 17 Original Hits (Specialty 1968)****, 20 Original Greatest Hits (Specialty 1976)****, The Essential Little Richard (Specialty 1985)****, 18 Greatest Hits (Rhino 1985)****, 20 Classic Cuts (Ace 1986)****, Shut Up! A Collection Of Rare Tracks (1951 - 1964) (Rhino 1988)***, The Collection (Castle 1989)****, The Specialty Sessions 6-CD box set (Specialty 1990)*****, The Formative Years, 1951-53 (Bear Family 1989)***, The EP Collection (See For Miles 1993)*****, King Of Rock 'N' Roll (ABM 1999)***, Talkin' Bout Soul (RPM 2001)**, Rockin' With The Georgia Peach (Recall 2002)**. 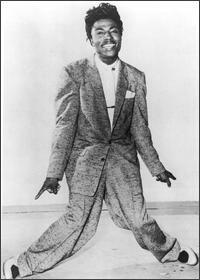 BIBLIOGRAPHY: The Life And Times Of Little Richard: The Quasar Of Rock, Charles White. FILMOGRAPHY: The Girl Can't Help It (1956), Don't Knock The Rock (1956), Mister Rock And Roll (1957), Catalina Caper aka Never Steal Anything Wet (1967), Keep On 'Rockin (1969), Let The Good Times Roll (1973), The Little Richard Story (1980), Down And Out In Beverly HIlls (1986), Chuck Berry Hail! Hail! Rock 'N' Roll (1987), Purple People Eater (1988), Sunset Heat (1991), The Naked Truth (1992), The Pickle (1993), Last Action Hero (1993), Why Do Fools Fall In Love (1998), Mystery, Alsaka (1999), The Trumpet Of The Swan voice only (2001).